Tsargrad wins battle of the bands! Thanks to everyone for the support as we won the battle of the bands. The whole night was a succes, all bands were great, and so was the crowd. Thanks to Mary Darroch who set the night up, and to Big Daddys for hosting the show. Thanks as well to Carolina Marchildon, Laura VB and Tyler McGhee for working the merch! We have some great show annoucements coming up, so stayed tuned! 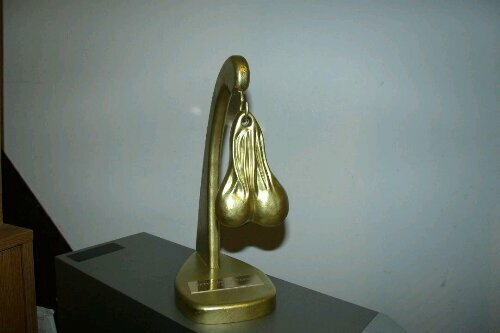 Here is a pic of the trophy we won! I‘ve always known we had golden balls!